Repeat visits to the drip by Painted and Indigo Buntings plus Baltimore Orioles provided splashes of color in a down year for overall sightings at the blind in terms of quantity and variety. April photos from other locations in and around High Island also round out this gallery. 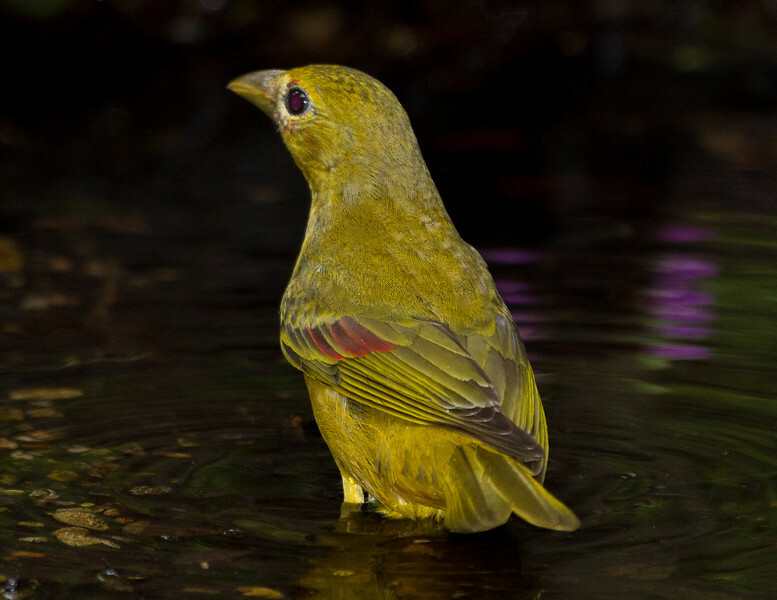 1st year Summer Tanager in transition to red. The red feathers on the left wing were absent on the opposite wing.